The Breakaway Foundation is a non-profit organization in partnership with Hockey NL with the goal of providing financial assistance to youth of Newfoundland and Labrador who dream of playing minor hockey. The organization was incorporated in 2012 and is led by a volunteer Board of Directors, with representatives from the entire Province. All involved have a deep passion for minor hockey and a strong commitment to ensure the success of Breakaway. Working in partnership with Hockey NL, the Breakaway Foundation works to support the development of youth hockey, healthy lifestyles, and providing an opportunity for all kids to participate in hockey, regardless of financial situations. Each year, the Breakaway Foundation and its Board of Directors host an exciting evening of entertainment to raise funds in support of its programs.? This fun filled, semi formal event is supported by our local NHL players and alumni, and is accompanied by a silent and live auctions and live music. Started in 2015, the Breakaway Foundation has organized a golf tournament prior to the Hockey NL Fall Meetings at the Gander Golf Club. It’s a great opportunity for the Newfoundland and Labrador hockey community to support our great cause. The Breakaway Foundation Inc. is pleased to announce the date and location of their third annual Cocktails and Auction Gala fundraiser.? 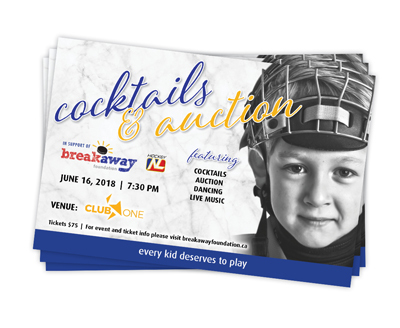 Starting at 7:30pm on June 16, 2018, Breakaway and its Board of Directors will be hosting an exciting evening?featuring live?entertainment and both a live and silent auction at?Club One (33A New Gower Street?in St. John’s).? This fun filled semi formal event will host special hockey guests, live music, speciality?drinks, and a fine selection of cocktail food delicacies. To purchase tickets, please visit?สล็อตออนไลน์777Breakaway Foundation Cocktails & Auctions Gala.? For event information, please?email?สล็อตออนไลน์777breakawayfoundation@hockeynl.ca?or text/call 685-2868. 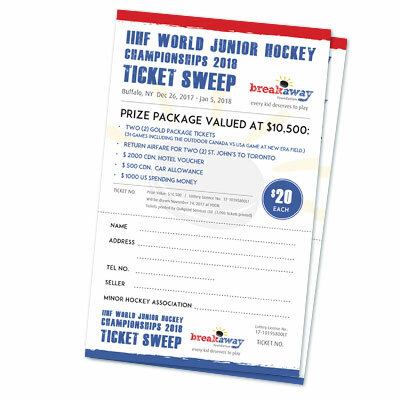 The Breakaway Foundation is please to announce that Margie Hanley of St. John’s has won the IIHF World Junior Hockey Championships ticket sweep that was drawn on air at VOCM on Friday, November 24, 2017. The winning ticket was sold by Nicole Power of the Paradise Minor Hockey Association. Thanks to all minor hockey associations and individuals across the province who supported the campaign which will enable the Foundation to continue to fund hockey players in need throughout Newfoundland & Labrador. “We look forward to working collaboratively with these new members as we focus on alleviating the financial burden for those players who can’t afford to play the game of hockey in Newfoundland & Labrador”, cited Doyle. “I would also like to extend a sincere thank you personally and on behalf of the Board to departing members Mary Power and Jennifer Mole who played a pivotal role in getting the Foundation to where it is today”. Breakaway Foundation is pleased to announce their fall ticket sweep to the 2018 IIHF World Junior Hockey Championships in Buffalo, NY. Tickets can be purchased by contacting your local Minor Hockey Association, contacting Breakaway Foundation at breakawayfoundation@hockeynl.ca or by calling 709-489-0908. Breakaway Foundation Inc. is pleased to announce our second annual fundraiser Gala and Auction.? On June 24, 2016, Breakaway and its Board of Directors are hosting an exciting evening of entertainment at The Fifth Ticket: keys + kitchen + bar at 171 Water Street in St. John’s.? This fun filled semi formal event will host special NHL guests, live music, two hour open bar of specialty drinks, and a fine selection of The Fifth Ticket’s cocktail food specialities. For tickets to the event please contact สล็อตออนไลน์777breawayfoundation@hockeynl.ca or by calling 687-8006.